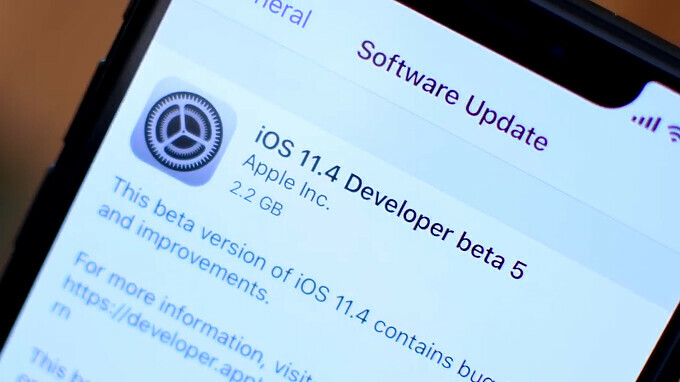 It's barely been six weeks since Apple released the first public beta for the iOS 11.4 update, but the puppy is healthy, and growing leaps and bounds to the 5th beta edition, released today. What's new with this one? Well, not all that much besides a fresh fix for the Control Center volume icon, and the fact that the beta 5 comes at 2.2GB, indicating a master release candidate. All in all, this would seemingly be the final touch before Apple announces a new grand iOS 12 version at the WWDC event on June 4th. That one, however, will likely be released in the fall, along with the new LCD iPhone and the two OLED ones, while iOS 11.4 with its Messages in iCloud, AirPlay 2, and other enhancements (like a new Product RED wallpaper), should be gracing your iPhones and iPads before the month rolls over. I wonder what’s coming in 12.